Unfortunately, this section has not been updated particularly recently. Anyone who would like to help flesh this section out, please email me. 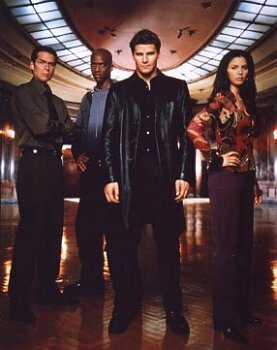 This section has been designed to inform viewers of the various central plotlines that the writing staff and executive producers create each season to keep the world of Angel Investigations exciting, dangerous and comical. This guide will only charter those major storylines affecting major characters in the show itself - the Darla/Angel/Drusilla plotline, the Faith/Angel/Wesley/slightly Cordelia storyline and also the Buffy/Angel storyline, prominent in very few episodes, but still an essential part of the show.